Michelle is in the business of inspiration and success. With over 10 years’ experience in human resources management, her bread and butter work is creating the culture and attitude shift that inspires others to break down their barriers and achieve personal and professional success. 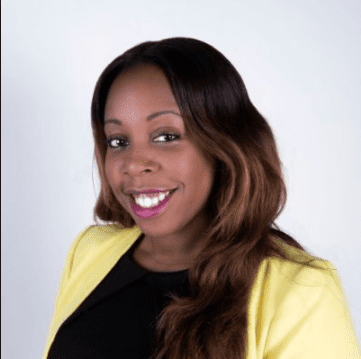 Having overcome her own fair share of challenges to become the founder and director of a successful HR consultancy, The People’s Partner in 2014, Michelle is a mentor for young people, and a professional landlord, She is a lecturer in employment law and does regular public speaking engagements on career management, employee engagement and personal development. Singing is Michelle’s hidden talent (Ok, maybe not so hidden talent). She has sung on stage with Madonna. Michelle will be found singing on stage somewhere and eating out a lot when she is not working on her business. She has starred on X Factor, sang at celebrity weddings – Peter Andre and Katie Price, Anthea Turner, Rod Stewart – to name a few and song in front of the Pope. Amazingly, Michelle is much more passionate about running her business than pursuing a career in music. She now focuses on helping others achieve the success that she has achieved. This extremely proactive business owner is driven by family and her mission to leave a legacy through business- building and connecting with the right people. Hear Michelle tell us about her business services that help SMEs, her journey into becoming a business owner, her experiences in business and top tips for current, soon-to-be and aspiring business owners, all mixed with her unique choice of lively 80s songs.